Due to the number of Irish clients with trading companies in Spain, we have prepared a general summary of the taxes arising. Corporate tax is levied on the income of companies and other separate legal entities. Spanish resident entities are liable to tax on their worldwide income and not just on profits from activities carried on in Spain. What is a Spanish resident entity? A company which is incorporated in Spain shall be regarded for the purposes of Spanish Corporate Tax as being resident in Spain under Spanish law. The location of central management and control in Spain may bring the entity into the Spanish Corporate Tax regime. For example if the legal headquarters/registered offices of the company are located in Spain or if it is effectively managed from Spain then the corporate entity is deemed to be Spanish resident. a) The majority of the entity’s main assets are located in Spain. b) The entity’s principal business activity is carried out in Spain. It is important to keep in mind that the above point (i.e. number 3) will not apply if the entity exercises its management and control in another country providing it does so for bona fide commercial reasons and not for the purposes of managing securities or other assets. 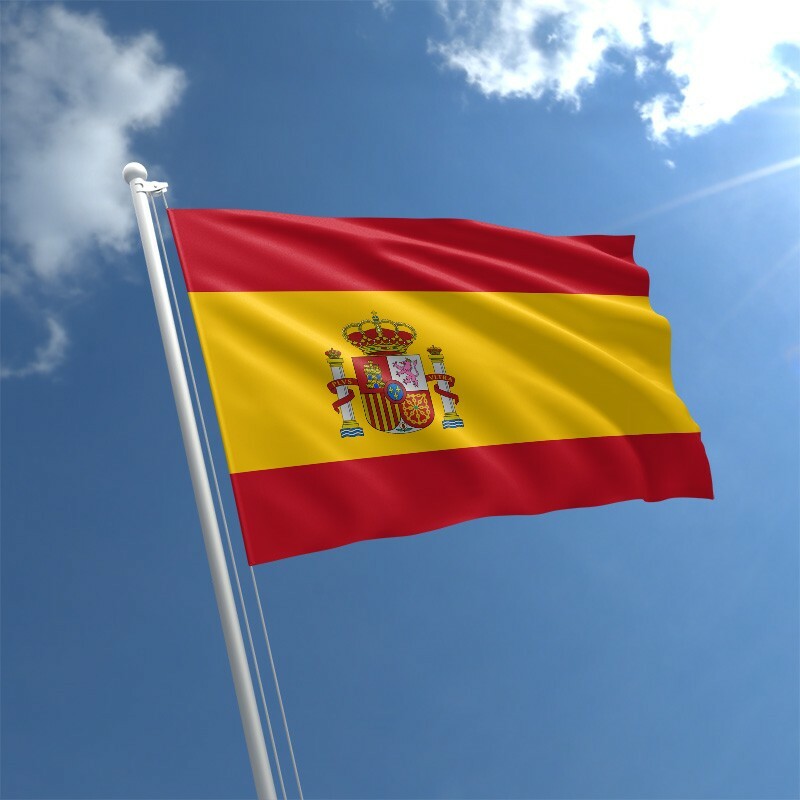 Non-resident companies and entities are only liable to Corporate Tax on their Spanish income arising from business operations carried out by a Permanent Establishment within the jurisdiction (See Article 5 of the Ireland/Spain Double Taxation Agreement for a definition of Permanent Establishment). It is important to be aware that a “Fiscal Representative” must be appointed by a non-resident individual or company to correctly handle all tax affairs when carrying out commercial activities in Spain. 25% is the general tax rate for residents as well as non-residents carrying out commercial activities in Spain through a “Permanent Establishment.” Other tax rates may apply, however, depending on the type of company and the type of business carried out. Where foreign companies have permanent establishments in Spain, Non-Resident Income Tax of 25% is chargeable on the income arising to the Permanent Establishment. A reduced rate of 15% applies to newly incorporated entities set up on or after 1st January 2015. This preferential rate applies to the first two years of operation providing a taxable profit arose in the first tax period. Where the trade/business was carried on previously by a related entity. Where the newly created company belongs to a Group of Companies. Where the company is considered, by law, to be an equity company. For new companies set up prior to 1st January 2015 they will be taxed at 15% on their tax base up to €300,000 with 20% tax being levied on any excess amounts. This will apply for the first two tax periods. When dealing with non-residents operating in Spain without a permanent establishment, but who are resident in another EU or EEA state with which there is an Information Exchange Agreement in place, a distinction should be made between an individual and a corporate entity. The tax rate applicable in the above situation is 19% and the tax deductible expenses are calculated in line with Personal Income Tax and Corporate Income Tax legislation. In all other situations, the general rule is that non-residents operating in Spain without a permanent establishment are taxable at a rate of 24%. A 1% Capital Duty is payable by the shareholders on the dissolution of a company or on a reduction in its share capital. Dividends paid to non-residents are liable to a 19% Withholding Tax unless a lower rate applies under a relevant Double Taxation Agreement. It is also possible for an exemption to apply under the EU Parent Subsidiary Directive. Distributions paid to E.U. parent companies by Spanish subsidiaries are exempt from withholding tax provided the parent company held, either directly or indirectly, at least a 5% holding in the subsidiary company for a continuous period of twelve months in addition to satisfying other conditions. Anti-Avoidance legislation exists where the ultimate shareholder in not E.U. resident. Following an amendment in the Spanish Personal Income Tax Legislation, a share premium distribution paid to a non-resident shareholder may now be treated as a dividend distribution liable to withholding tax under the general rules. Interest paid to a non-resident including a non-resident individual is liable to 19% withholding tax unless a lower rate applies under the relevant Double Taxation Treaty. Interest income is exempt from tax if the recipient is a resident of an E.U. member state or an E.U. Permanent Establishment of an E.U. resident company which is not deemed to be a tax haven. Royalties paid to non-residents including a non-resident individual are liable to withholding tax of 24% or 19% if the recipient is resident in an EU or EEA member state where an Information Exchange Agreement exists. This rate can be reduced by the provisions of a relevant Tax Treaty. Royalties paid to associated EU resident companies or permanent establishments are exempt from tax in Spain providing certain conditions are satisfied. Under Spanish law capital gains are treated as ordinary business income taxable at the 25% corporate tax rate. Capital gains on disposals by non-residents without a permanent establishment in Spain are taxed at a reduced rate of 19%. Where non-residents without a permanent establishment dispose of real estate situated in Spain, a tax of 3% will be withheld from the sales price by the purchaser and paid over to the Spanish Tax Authorities to be offset against the vendor’s tax liability. Capital Gains from the transfer of shareholdings/ownership interests in Spanish companies and foreign subsidiaries by corporate entities are exempt from tax if the conditions of Participation Exemption are satisfied. For an E.U. corporate shareholder, ownership of at least 5% must be held directly or indirectly or the shareholding must be valued at over €20 million and it must be held for at least a twelve month period. In situations where the company is non-resident, a foreign tax which is similar to Spanish Corporate Income Tax of 10% will apply providing the corporate entity is resident in a country with which Spain has concluded a Double Taxation Agreement. Spanish VAT or IVA is charged on the supplies of goods and services within the Spanish VAT territory as well as on imports and intra-EU acquisitions of goods and services. IVA is charged at 21% on the majority of goods and services in Spain. There is a reduced rate of 10% which applies to certain goods and services such as the purchase of a newly built property, passenger travel, health products and equipment, toll roads, refuse collection and treatment, entrance to cultural buildings and events, some foodstuffs, water supplies, renovation and repair of private dwellings, agricultural supplies, hotel accommodation, restaurant services, etc. There is a super reduced rate of 4% which applies to the basic necessities other than those classified under the 10% rate and these include human medicine, basic foodstuffs (i.e. bread, milk, cheese, eggs, fruit, vegetables, cereals, potatoes, etc. ), books, newspapers and magazines except the electronic equivalents. Sales Tax is applied in Ceuta and Melilla instead of VAT. The Canary Island Indirect Tax or IGIC applies in the Canary Island instead of VAT. The ordinary rate of IGIC is 7% but there are a range of other rates: 0%, 3%, 9½%, 13½% and 20%. On 1st July 2017 a new “Immediate Supply of Information” system took effect in Spain. This new VAT management system now requires taxpayers to maintain their VAT books and records through the Spanish Tax Authorities website on a near real-time basis. Companies included in the VAT Grouping Special Regime. Large organisations whose annual turnover exceeds €6 million. This new system, however, also enables Taxpayers to elect to use the S.I.I. If they voluntarily choose to use this system then they must declare their intention on Form 036.